When Robert and I met Sam, it was 1979 at Tulane University Medical Center where Robert was chairman of Anesthesiology and Critical Care Medicine. Sam was sent by the Air Force to recruit Robert back to active duty. Sam was then director of the Air Force School for Nurse Anesthetists. Robert went back into the Air Force as a colonel to chair the Air Force anesthesiologist training program. He and Sam worked very closely and they became best friends. They were more than friends – they shared love for the Air Force, too. When Robert left the Air Force, he recruited Sam, who was retired from the Air Force, to UF. Sam spent his time at UF running the OR schedule. He also helped to reorganize the ER. Sam was born and raised in upstate New York and was an only child. He attended nursing and anesthesia school there. He married Dorothy, his nursing school sweetheart. He then joined the Air Force. He and Dorothy raised three children and four grandchildren. His military career was exemplary. He was a Vietnam veteran with multiple field anesthesia experiences, as well as a number of other duties. He was a colonel at retirement. He was a true patriot. Robert and I are honored to have had Sam as a true friend. Dr. Betty Lou Bottoms Grundy, age 77 of Gainesville, passed away on Sunday, June 11, 2017 under the care of hospice.Dr. Grundy graduated from the University of Florida near the top of her class in 1963. She was one of the first women graduates from the College of Medicine. After working in private and academic practice for many years, she returned to UF in 1984 as a professor of anesthesiology and founded the division of neurological anesthesiology. She focused her clinical and research interests on intraoperative neurological monitoring with funds from NIH, NATO, the VA, foundations and private industry. 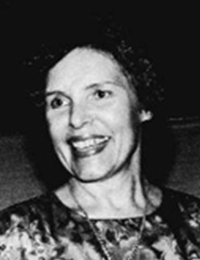 Dr. Grundy worked tirelessly and was an important role model for women in medicine as a chair of anesthesiology in Oklahoma, as anesthesiology service chief at the Malcom Randall Veterans Administration Medical Center, as a senior board examiner for the American Board of Anesthesiology and as a member or chair on countless professional society committees. She retired from the University in 1994. A memorial service will be held at 3 p.m. Thursday, June 15, at Holy Trinity Episcopal Church in Gainesville. The family respectfully requests donations in lieu of flowers to Holy Trinity Episcopal Church, 100 NE 1st St., Gainesville, FL 32601 or to Haven Hospice, 4200 NW 90th Blvd., Gainesville, FL 32606. 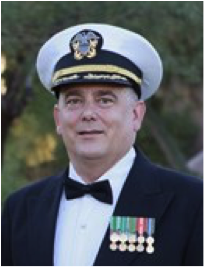 It is with great sorrow that we announce the passing of Captain Gregory M Gullahorn, MD, FCCP, MS, USN, born November 21, 1960. He passed away unexpectedly on Wednesday, March 9, 2016. It is hard for us to express in words what a wonderful person Dr. Gullahorn was. He did so much good while he was here and touched so many lives. We are proud and fortunate to have had him in our lives. Dr, Gullahrn was preceded by his father John T. Gullahorn and is survived by his wife of 33 years, Kathy, nee Carlson, his two children, Annika and Britta, his mother, Jeanne, his sister, Leslie Olson and her husband, Charlie, his sister, Laurie Thibodeau, her husband, Ricky, and their children, his niece and nephew, Juliette and Jonathan. Dr. Gullahorn was born in Lansing, Michigan on November 21, 1960, where he spent the majority of his childhood, interspersed with sabbaticals to Wales and Virginia. After graduating from East Lansing High School, he attended Michigan State University. He earned his medical degree from Northwestern Medical School and completed his residency in anesthesiology at the University of Florida. Dr. Gullahorn followed his residency with a fellowship in critical care medicine. He was a member of Alpha Omega Alpha Medical Honor Society, received multiple academic awards, and graduated with distinction. He and his wife moved to San Diego, where they raised two exceptional daughters who are now in college at Syracuse University and Boston College. He was a loving father, always supporting and encouraging his children to love life and pursue their dreams. Dr. Gullahorn joined the Navy in 1982 and advanced to the rank of Captain in 2004. He earned numerous awards and commendations for his excellent work and service. He served in Somalia in 1992 and in Landstuhl, Germany in 2008. He was an educator at the Naval Medical Center San Diego and was appointed Department Chair of Anesthesiology in 2011. He also sat on the Board of Directors for the California Society of Anesthesiologists. Dr. Gullahorn cared deeply not only for his patients, but also for public and global health overall. He volunteered his time and his service to Operation Smile in Moscow and Vietnam, as well as the Mercy Outreach Surgical Team. He was a truly incredible person who always brought happiness, smiles, and laughter to all of those around him. He was extremely bright and exceedingly humble. He cared much more about the work he was doing for others than for receiving recognition for it. He was loving, gentle, and kind. He inspired those around him. He had a lovely sense of calmness and patience, finding a silver lining in any situation. We are so fortunate to have had the honor to share in such a wonderful, fun-loving, and generous life, and he will always remain forever in our hearts and our smiles. We are better people for having him in our lives. Annette Pashayan, MD, passed away after a lengthy illness at Kate B. Reynolds Hospice Home on October 3, 2016. She was surrounded by loving family and her dog, Fritz. Dr. Pashayan was born in Lehighton, Pennsylvania, June 25, 1953, to Serge and Annette Grynkewich. She finished high school a year early in the eleventh grade at Moravian Seminary for Girls to attend Lafayette College, where she met the love of her life, Mark Pashayan, MD, and they were married after graduation, on June 8, 1974. Both attended Bowman Gray School of Medicine, graduating in 1978. Dr. Pashayan completed a residency in anesthesiology at the University of Florida and a fellowship in neuroanesthesiology at UF and the Mayo Clinic. She was also an Associate Professor of Anesthesiology at the UF Department of Anesthesiology. She loved clinical medicine, and was very involved in teaching and research before becoming ill in 1994. The family relocated to Winston-Salem in 1995. 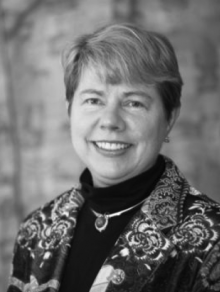 After a period of recuperation, Annette worked in the Department of Anesthesiology at Bowman Gray School of Medicine and joined the Anesthesiology faculty at the University of North Carolina at Chapel Hill in 2001. In 2005, she entered private practice in Greensboro. She retired from Gate City Anesthesia in 2012 when the progression of her illness made it impossible for her to continue to work. 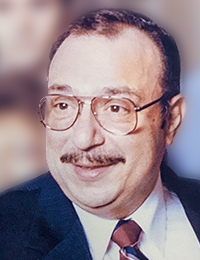 Dr. Pashayan’s childhood study of music led to a lifelong “second career” as a singer. She studied voice for many years and sang as a soloist with various church choirs, as well as with the Robert Shaw Festival Chorale for three seasons at Carnegie Hall. She sang locally with the Piedmont Chamber Singers, the Bel Canto Company, St. Leo’s Catholic Church, Centenary United Methodist Church, and St. Anne’s Episcopal Church. During her extensive medical care, Dr. Pashayan began writing poetry, and through her work, she obtained a grant from the Winston-Salem Arts Council to commission a composer to set them to music. The result of this collaboration with Israeli composer, Ella Milch-Sheriff, was a song cycle for mezzo-soprano and string quartet, “Songs from the Edge.” The piece was premiered at the Chautauqua Institution Main Stage in 2006 and has had performances in Israel, Virginia, and Winston-Salem. It will have a European Premiere in Vienna in September 2017. Dr. Pashayan is survived by her husband, Mark; sons Charles and Alexander and their wives, Andrea and Melissa; her brothers Gary and Serge; and numerous nieces and nephews. She is very grateful for the care she received from the oncologists and radiation oncologists at the University of Florida and Wake Forest Baptist Health. Dr. Pashayan was cared for by many wonderful nurses, clinical assistants, and administrative staff. Ronald (Ronnie) Freeman, age 53 of Gainesville, Florida passed away Wednesday, August 10, 2016. He was born September 30, 1962 in Vereeniging, South Africa to Daniel and Johanna Elizabeth (Martins) Freeman. Ronnie earned his medical degree at the University of Pretoria in South Africa. He came to the United States in 1993 to study and travel. He completed his internship at the University of Kentucky, an anesthesiology residency at the University of Alabama, and a critical care fellowship at the University of Florida. After some years in South Africa and in Alabama he moved back to Gainesville in 2008. At the time of his death he was employed at the Orthopedic Institute. Ronnie was a huge rugby fan, and loved cheering on the Lions and the Springboks. He was at his happiest in the outdoors with his family by his side. Ronnie was compassionate and always brought a laugh to any gathering. He will be missed by all who knew him, most of whom would probably have a funny story to tell about him. Ronnie was a member of Westside Baptist Church. Brad Brian, was taken unexpectedly from this life in an airplane accident on Wednesday, May 7, 2014. Brad was a dreamer, and he usually found a way to make his dreams a reality, a quality that his wife will be endeared with forever. Brad had dreamed of becoming a pilot and flying nearly his entire life, and with the encouragement of his wife, was finally living his dream. 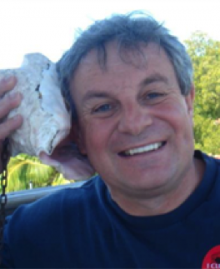 Brad was passionate about many things and had a tremendous love for learning. He loved to be adventurous and try new things. He loved business opportunities, was a natural leader and passionate about his career as an Anesthesiologist; he loved his family more than words can express. Brad grew up in Loa, Utah and loved the beauty of Wayne County, but he always knew life held adventures and opportunities in other places where he influenced many lives along the way. After graduating from Wayne High School in 1993, he attended Southern Utah University for one year before serving a two-year mission for The Church of Jesus Christ of Latter Day Saints in the Brazil Salvador South Mission. After returning from Brazil, he attended SUU for one more year before transferring to Utah State University. There he continued his studies in Electrical Engineering and Business and also started dating his long time friend and the one true love of his life, Camille Torgerson, whom he later married in the Manti LDS Temple for time and eternity in May of 1999. He often reminded his wife that he had loved her since the time they were in the same first grade class together and knew that someday they would be together. Brad graduated from USU with Bachelor’s Degrees in both Electrical Engineering and Business in 2001. He went on to earn a Master’s Degree in Bioengineering and a Master’s of Business Administration from the University of Utah in 2003. He loved the opportunities that came from being involved with the University Venture Fund and the Lassonde Entrepreneur Center during this time. He reached his highest goal of academic achievement when he earned his Doctor of Medicine degree in 2007 from the University of Utah. Upon graduation, Brad accepted a position for his medical residency in Anesthesiology at the in Gainesville. He was mentored by many colleagues there and himself became a mentor to others as he filled a position as a Chief Resident during his fourth year of residency. A highlight of his time in Florida was serving on the physician team for the NASA flight crew and being able to witness the thrill of shuttle launches and landings up close. Brad and Camille cherished the four years they spent in Florida and will forever be grateful for the experiences they had there together. Brad was thrilled to have landed his dream job when he joined Mountain West Anesthesia and began working at Dixie Regional Medical Center in St. George, Utah, in the summer of 2011. Brad was 38 years old and leaves behind his wife, Camille, and their four beautiful children, Kaitlyn (12), Landon (9), Cammi (5), and Connor (4), all of St. George, who adore him and will miss him tremendously; his parents: Robert and Edra Brian of Loa; brothers: Gary and Monica Brian and their children, Heston, JaCee and Jentry; Troy and Brenda Brian and their children, Alexis and Regan; all of Loa; his father and mother-in-law: Burke and Barbara Torgerson of Lyman; and brothers and sisters-in-law and nieces and nephews. Dr. David A. Paulus, the beloved, gap-toothed anesthesiologist, son of Marian and Henry Paulus and baker of maple-syrup apple pies, died at his home in Gainesville on December 12th, 2012. He was 67. Quite appropriately to those who knew him, Dr.Paulus died of a big heart. While a youth in Burlington, Vermont, Dr. Paulus enjoyed cross-country skiing, canoeing, and constructing rockets, which he shot through the windows of the neighboring elderly. Never convicted, he earned a BS and an MS in mechanical engineering from, respectively, the University of Vermont in 1968 and the University of Wisconsin in 1970. While working as General Electric wunderkind, Dr. Paulus stopped short of completing his PhD in mechanical engineering, switching careers to medicine. He graduated from UVM College of Medicine in 1976, interned at the University of Kentucky in 1977, and completed his residency in anesthesia at the University of Florida in 1979. He met his future wife Louise, a training nurse anesthetist, in the hallways of Shands Hospital while still a resident and wooed her by freezing her dinner in liquid nitrogen and tossing it short to shatter at her feet. They married soon after on June 16, 1979 and settled in Gainesville. Dr. Paulus completed a cardiac anesthesia fellowship in 1980. Over his thirty-five years as a Shands anesthesiologist, Dr. Paulus built a reputation for steadfast loyalty to colleagues and patients, showing especial grace with terminally sick children, teaching them how to clamp off surgical tubing to make water guns. With Dr. J.S. Gravenstein, his mentor, and Dr. Nik Gravenstein, Dr. Paulus designed and taught a course for engineers and marketing personnel on anesthesia products to improve patient safety. As well as being a professor at UF College of Medicine, he lectured at UF’s Levin College of Law, College of Public Health and Health Professions, and Warrington College of Business and held visiting professorships across the country. His numerous positions included Associate Chair for the Anesthesiology Department’s clinical care, Medical Director of Shands OR and HomeCare, Shands HealthCare Board Member, AMA’s Council on Medical Education and Science Chair, Alachua County Medical Association President, and member of Florida Medical Association, American Society of Anesthesiologists, Society for Technology in Anesthesia, and the Alpha Omega Alpha Medical and the Tau Beta Pi Engineering Honor Societies. Dr. Paulus also won the Quality Award Certificate of Merit from the Society for Ambulatory Care Professionals, the Society of Authors and the Royal Society of Medicine Book Award, and the Physician Customer Service Recognition Award from Shands. In addition, he authored and edited six books and twenty chapters of others, co-authored thirty papers in peer-reviewed journals, and lectured around the world. Lastly, Dr. Paulus took great pride in his role designing the operating rooms in the Shands South Tower. His work was so well regarded for its meticulous precision, he’d been asked to help design the new ASA headquarters in Chicago. Joachim S. Gravenstein, MD, age 83, graduate research professor emeritus, Department of Anesthesiology at the University of Florida, died at home Friday, January 16, 2009. Dr. Haven M. Perkins was born June 2, 1916, in Rainelle, West Virginia. He earned his M.D. degree from the University of Louisville. In 1959, he was appointed as the first resident in the newly formed Division of Anesthesiology at the University of Florida, College of Medicine. The trio of J. S. Gravenstein, M.D., Chairman, Thorkild W. Andersen, M.D., Professor, and Haven M. Perkins, M.D., Resident, comprised the entire Department of Anesthesiology in its infancy. It was through their lifelong leadership, dedication and expertise as clinicians, teachers, and mentors that formed the roots of our department which now has grown into one of international stature. Perk served many roles at the University of Florida, including being the Chief of Anesthesiology at the Veterans’ Administration Hospital, Acting Chief of the Department of Surgery at the Veterans’ Affairs Medical Center, and thought of as a father figure by all of his younger faculty colleagues, residents, and students. Affection for his students was evident as he referred to them as “sons” and “daughters,” and the students referred to him as “Papa Perk”, who would not only provide them with a superb education in the field of anesthesiology, but who was always available to consult with as a father figure as they went through the maturation process–both personally and professionally. Perk retired in 1993 and passed away in 2000. The University of Florida was certainly unique and privileged to have benefited from having Perk as one of its founding fathers. Thorkild, W. Andersen, a professor emeritus at the University of Florida, died of cancer Thursday. He was 73 years old. Dr. Andersen joined the UF Faculty in 1959 and was a professor emeritus in the Department of Anesthesiology until his death. Dr. Andersen was born in Denmark and studied medicine and received his doctorate degree from the University of Copenhagen, Denmark in 1947.
usettes General Hospital in Boston, where he became an instructor in anesthesia at Harvard Medical School. 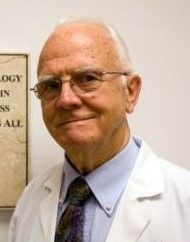 In 1959, he joined the faculty of the College of Medicine at the University of Florida as the second member of the Division of Anesthesia in the Department of Surgery. Dr. Andersen was the director of Nurse Anesthesia Training Program of the Department of Anesthesiology from 1966 to 1977 and was the acting director of the department in 1969. He was voted Outstanding Teacher by the anesthesiology residents from 1959 to 1978. Dr. Andersen became a Professor Emeritus with the Department of Anesthesiology in 1987. He was a member of the American Medical Association, the Florida Medical Association, the Alachua County Medical Society and the Academy of Anesthesiology. Survivors include his wife, Lillian Andersen of Gainesville; four sons, Torsten, Niels, Lars and Ib; a sister, Bitten Christensen of Copenhagen and five grandchildren.